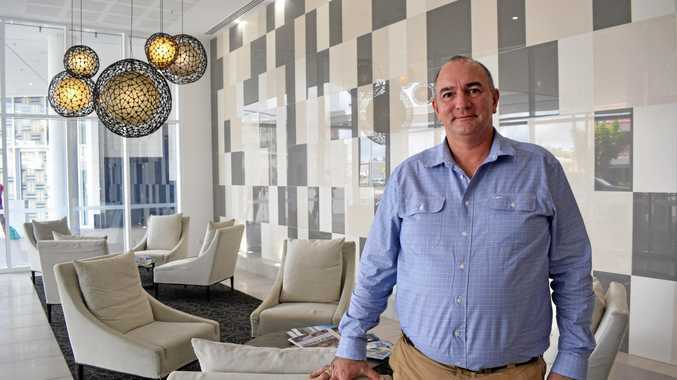 Eddie McGuire has finally got his shot at revenge and he has Glenn Maxwell to thank for it. Five years ago the Melbourne Stars president tangled with current Australian Test captain Tim Paine in a bitter verbal stoush. Paine the Hurricanes skipper accused the Stars of using "a never ending salary cap" as they completed a perfect 8-0 season to finish on top of the Big Bash League. A furious McGuire threatened legal action and so Paine issued a stiff apology on the eve of the Stars-Hurricanes semi-final at the MCG. But while Ed won the battle, Paine won the war as he topscored with 65 (52) in Hobart's stunning upset win as the Hurricanes advanced to the grand final. But Maxwell's 82 (43) at the MCG yesterday booked the Stars a trip to Hobart for Thursday's semi-final against the dominant Hurricanes, and Paine will be at Blundstone Arena … albeit most likely as a spectator. Maxwell's batting at the death set records tumbling yesterday. The Stars' 77 runs in the final four overs was the most in BBL history and the green team's captain plundered 65 of them. 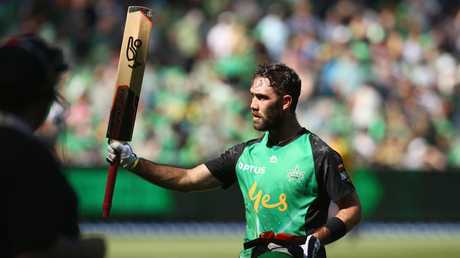 Maxwell scored 17 runs from his first 20 balls and then 65 from his next 21 balls, sending four deliveries to the rope and another six over it. The acceleration started as Nic Maddinson holed out and Dwayne Bravo was run out. A pair of wickets usually applies the brakes but Maxwell then shared a 44-run partnership (16 balls) with Seb Gotch without Gotch even facing a ball. It was high risk and high reward. Maxwell had the Stars season resting on his bat and, with Jackson Bird due to come in next, he still found the courage to let rip. Maxwell's golden day was encrusted with jewels as he removed rival skipper Moises Henriques and then completed a screamer at first slip to dismiss Sean Abbott. Stars have won three consecutive games twice this season. If they do it a third time they'll be lifting their first BBL trophy. Cricket Australia must be thanking its lucky stars the green team got up yesterday. A Sydney Sixers victory would've let Brisbane Heat into the semi-finals and they would've had a power outage at the Gabba to thank. Heat was 2/10 (three overs) chasing 187 against Sydney Thunder - with Chris Lynn and Brendan McCullum gone - when the lights partially went out on January 17. Thunder offered to only bowl spinners and then had a landmark appeal to CA for full match points rejected as the game was ruled a no result. Imagine if a blackout cost Thunder a semi-final berth and delivered it straight to Brisbane. It would've been an embarrassing look. Maxwell's finish to the innings was spectacular but Marcus Stoinis's start was also blistering. It was back foot magic as Stoinis stroked four Lloyd Pope deliveries to the rope in the first over. Two zipped over Tom Curran at mid-on and Stoinis's first 20 runs came from boundaries. The all-rounder also became the second to score 30 runs in eight consecutive innings, although Shaun Marsh achieved that feat across three seasons and Stoinis has done it in six weeks. When Dwayne Bravo fell over and dropped his bat it appeared the Stars were headed for elimination. Bravo - attempting to crawl past the crease - was run-out for a diamond duck to leave the Stars 5/116 with just 19 balls remaining. But Maxwell took his anger out on Sixers bowlers and then Bravo responded with two catches in the first three overs to start the party for the green team. Less than 48 hours earlier the Stars produced one of the worst bowling performances in the history of T20 cricket around the world. You would think Brisbane's 0/158 (10 overs) would dent the attack's confidence. Nope. 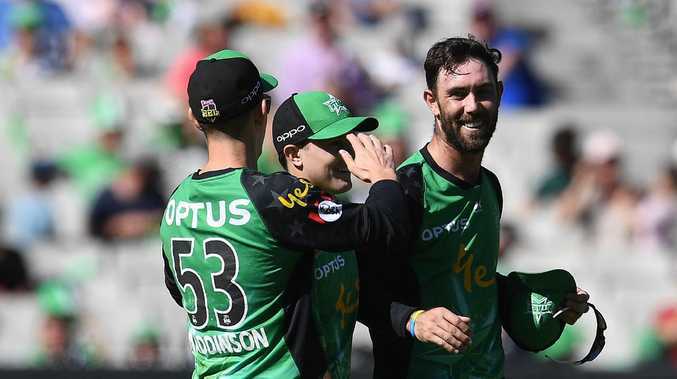 It was faultless yesterday as all five bowlers snared a wicket and they skittled the Sixers for their lowest score in history (74), and the fourth-lowest in BBL history. Leg-spinners Adam Zampa and Sandeep Lamichhane combined for 5/26 from 46 balls as Sixers travelled 50 balls without a boundary. Opener Daniel Hughes topscored with 12 runs. It was a performance which will leave Hobart batsman feeling nervous.